From our first meeting with 4G Design Build, throughout the build process and beyond, we have been very impressed with thie professionalism, the level of communication, and the excellent workmanship. We were kept apprised of every step, hurdle, and impact to the schedule. Any questions or concerns were addressed quickly - and we had every confidence that 4G was building our home as if it were their own. Everyone knew how much we wanted to be in our home by Christmas and they pushed to make that happen - without sacrificing quality. It was obvious that Sam Gandy and his team. (Tommy, Denae and others) not only cared about this home - they cared about US as well! It has been such a pleasurable, fun experience - we hate to see it end.... excellent builder, excellent workmanship, excellent customer care. You will not go wrong if you select 4G Design Build. You guys were great to work with! 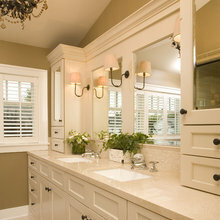 It was a smooth project and your home turned out beautiful. Sam and his team were the ultimate professionals. They did what they set out to do in a timely manner. They were always willing to address issues(small by the way) and address my buyer's concerns about anything throughout the building process. 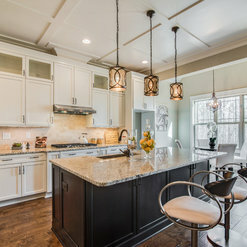 It was one of the most pleasant new home builds I have been involved in in a very long time. HATS OFF TO ALL OF THE 4G TEAM !!! It was great to work with you as the clients realtor. You were a great support and help during the design build process. I look forward to working with you in the future. 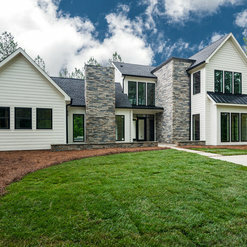 After building two custom homes in the past, it was very important for us to pick a builder we could work together with to make our new custom home special and on budget. 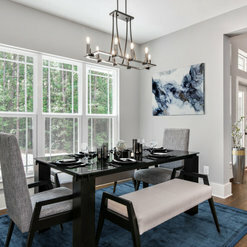 From the first time we met with Sam and Denae Ganty in there new "Design Center", we felt comfortable that all our concerns would be taken care of and there systems would get us that beautiful custom home we wanted and expected. We would like to thank Sam Ganty for being hands on and always being in control of the process. Thank you also to Denae Ganty for spending days with Linda and I shopping for the best design products and materials and keeping us in the right direction regarding style, quality and pricing. Last, Justin Travis, with his creativity on his computer using CAD DESIGN, worked to design what we wanted with many improvements along the way. When he finished, on our computer, we could see our new home and walk though our new home seeing each room, materials like wood floors, walls painted and granite on cabinets. 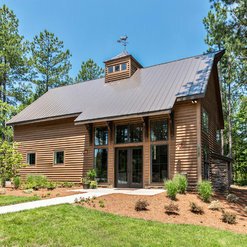 The 4-G Builders process is what makes building your new custom home a 5 STAR Build. Thanks for the awesome review. You guys are great!! The 4G team was great!! We had gone to 2 different builders before finding 4G and were so happy that they could be their for our journey. This is the first home we built and had heard so many horror stories but the 4G team was able to let us know what were getting and how much we were spending upfront so we were not blindsided at the end of the process. Communication was great throughout the process!! I was able to reach out with questions and I received quick answers. I would recommend the 4G team to anyone who is ready to build. Thank you again for all your great work!! You guys were awesome clients to work with! I hope you enjoyed Thanksgiving in your new home and have a wonderful Christmas. 4G built our new home which we absolutely love, They build a quality home. I would highly recommend this builder. Great people to work with. 4G is a first rate company. We are very pleased with our home. They are truly concerned that you will be happy with your home. 4G Design Build has been a spectacular group of people to work with on designing and building my home. I was able to fully incorporate my ideas into this project and they helped me to stay within my budget. They have been honest and upfront from day one. Any questions or concerns I've had throughout the process they've always been right there to answer and take care of them. As stressful as custom homebuilding can be these guys have made it one of the most seamless and fun experiences of my life! They have all been so awesome and an absolute pleasure to work with. 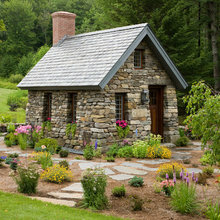 I highly recommend them to anyone looking to have their dream house built with efficiency and ease. I appreciate your feedback! You have also been great to work with. I look forward to completing your home and seeing your dream becoming reality. 4G has been a true pleasure to work with. 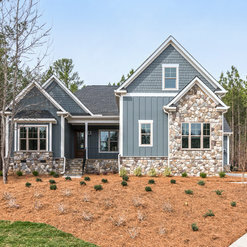 We have appreciated their patience, professionalism, and advice throughout this build process and would highly recommend them to anyone looking to build a home. You guys have been a pleasure to work with. I am so glad things finally worked out so we could build your home. I am sure you will enjoy it for many years to come! Blessings to you and your family. 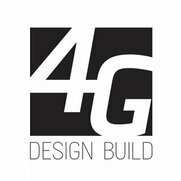 We have been doing business with 4G Design Build for many years. Everyone at 4G is extremely nice and easy to work with. Their attention to detail, professionalism and the quality of their product is top notch. Being a custom home builder is no easy task but 4G makes it look easy. We value our relationship with 4G and hope it continues for many years! 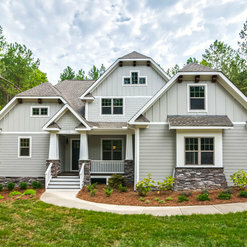 Our 4G home is absolutely beautiful - built with the best materials available. 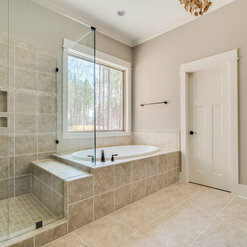 4G Design Build is a quality builder and they use only the best materials available to build your home. After living in the same home for over 25 years, we made the big decision to build. Finding a builder we could trust was the main concern. After interviewing other builders in the area, we decided that 4G fit our needs. They listen to your input, are always available to answer questions or concerns, very family oriented, and went the extra mile to be sure we were happy with our home. I highly recommend 4G and I would use them again. 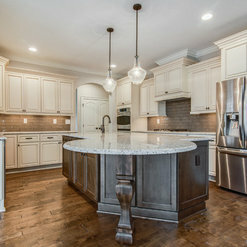 We recently moved to the area and started looking for a custom home builder. We came across the 4G model in the Falls Cove subdivision and were instantly taken by the curb appeal of this home. We met with Quinton at the model and he stepped us through the very detailed 4G build process and we instantly new this was the builder we were going to select to build our dream home. We worked very closely with Justin T. on communicating all the requirements of our new home and after a few revisions Justin had turned our vision in to a detailed house plan. 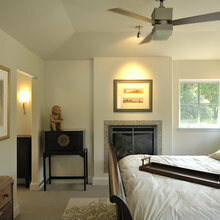 Justin was very good at working with us to balance our wants, needs and budget during the home design process. 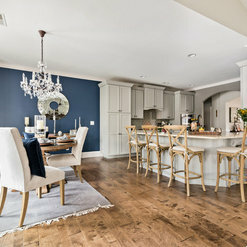 We were able to do a 3D walk through which helped us envision each area of our home and fine tune all the details and integration of our ideas in to a final plan. The design process 4G uses takes a plan from good to great! We were on a very tight timeline for the build of our home and 4G did everything they could to keep the build on track and get us in to our new home on the target date. If we would build another home 4G would be our first choice! Thanks for the great review. Your home turned out beautiful...and your new pool was like icing on the cake! We appreciate you guys and your trust in us as your home builder. Commented: FlooringThe floors are factory stained engineered wood. They are: Palmetto Road, Lake Ridge, Color: Keowee The front door is a custom mixed stain. Sorry I can’t be of more help on this one. 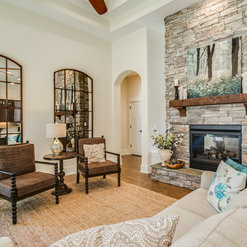 Commented: Love the fireplace stoneThis fireplace stone is a Southern Ledgestone by Boral. The color is Echo Ridge. Commented: Beautiful room! Can you tell me where you got the rug or who makes it?Sorry, but I don't know. This rug was supplied by the homeowner.